Global finance chiefs may have denounced it, but that has not stopped Japan joining other central banks in driving its exchange rate lower. With Australia and South Korea forced to respond, will the Asia-Pacific region be the main battleground in a global currency war? At the latest Group of Seven (G7) meeting near London, the message from the seven industrialized nations’ finance officials was unequivocal: no currency manipulation by members. Britain’s Chancellor of the Exchequer George Osborne said the G7 would continue its three-month-old pact “not to target exchange rates,” with the German and US finance ministers cautioning Japan over the weakening yen. 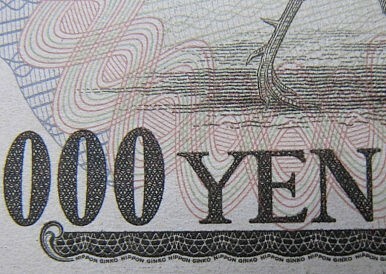 Prior to the May 11 meeting, the Japanese yen hit a four-year low against the dollar as well as a three-year low against the euro. Nevertheless, Japanese Finance Minister Taro Aso claimed the G7 supported Japan’s moves to reignite inflation. “Japan took bold monetary and fiscal action to end prolonged deflation, with the government and the Bank of Japan (BOJ) working closely together,” Aso told reporters after the meeting. “The G7 didn’t have a particular problem…I think Japan’s stance is gaining broader understanding,” he said. The BOJ has pledged to double its bond holdings in two years with the aim of achieving a 2 percent inflation rate and end Japan’s debilitating deflation. At around 7 trillion yen a month, the Japanese bond buying is close to the US Federal Reserve’s $85 billion, but in an economy about a third the size. The resulting slide in the yen has seen the Nikkei Stock Average climb past 15,000 to its highest level in more than five years, with investors welcoming the boost to Japanese exporters’ earnings. In debasing its currency, Tokyo is following the well-trodden path of central banks in Britain, the United States and the eurozone. Yet the zero-sum game of devaluation has already forced countermeasures by Australia and South Korea. On May 9, the Bank of Korea (BOK) cut its policy rate by 25 basis points, to 2.5 percent, its lowest level since early 2011, with the bank noting the threat posed by a strengthening exchange rate against its major competitor. “The domestic economy will show a negative output gap for a considerable time, due mostly to the slow recovery of the global economy, the influence of Japanese yen weakening and the geopolitical risk in Korea,” the BOK said in a statement. According to the Wall Street Journal, expectations of a rate cut followed earlier moves by the European Central Bank and the Reserve Bank of Australia (RBA) to reduce interest rates. According to analysts, the central bank was forced to act to reduce the overvalued Australian dollar, which despite lower commodity prices had remained high, punishing manufacturers, tourism and other exporters. Across the Tasman, neighbor New Zealand has shown reluctance to increase rates due to its strong currency, despite concerns of a housing bubble. While the Australian dollar has since cooled on speculation of an early end to US quantitative easing, falling below parity with the US dollar, it has remained at 2008 levels of around 100 to the Japanese yen. The real targets for Japan may be South Korea and China, which have long benefitted from favorable exchange rates.